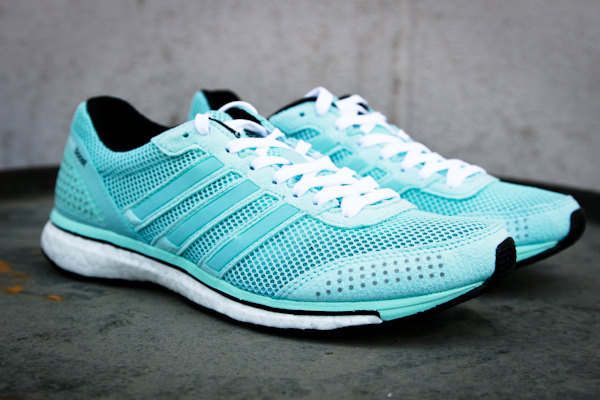 We just received our shipment of the newest colorway of the very popular Adidas Adios Boost shoes. This shoe works great for a lightweight trainer or longer distance racer shoe. 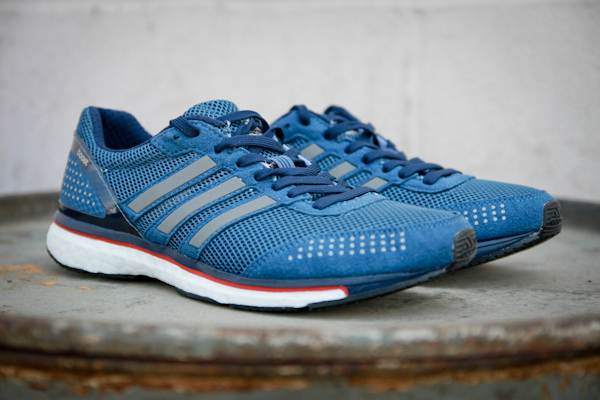 Featuring Boost foam, a Continental rubber outsole and a COOLEVER ventilation system, it's a breakthrough marathon shoe which will keep your feet cool, dry and comfortable across those long distances. The women's color is featured above and scroll down to see the men's color. 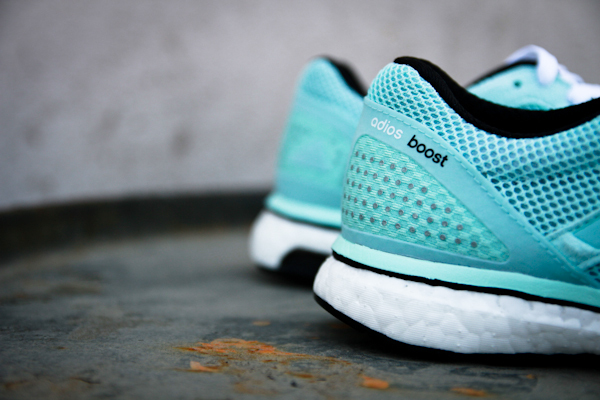 Do you know much about the Boost foam? It's a revolutionary new midsole unit which will feel different to anything you've ever worn before. The unit, created in conjunction with BASF, is constructed of small polyurethane capsules which are fused together with high pressure steam. The result is a platform which is much more responsive than traditional EVA, absorbing the energy in the footstrike and translating it into reactionary power when you lift off. The Boost midsole unit is also 30% more temperature resistant than EVA, allowing it to retain its composite structure better, improve performance in varying conditions and enhances durability. Supportive Mesh Upper - Provides great stability, and a breathable, secure fit. COOLEVER - Lightweight mesh and lining in a clover shaped yarn helps to manage and eilminate heat and sweat build-up.